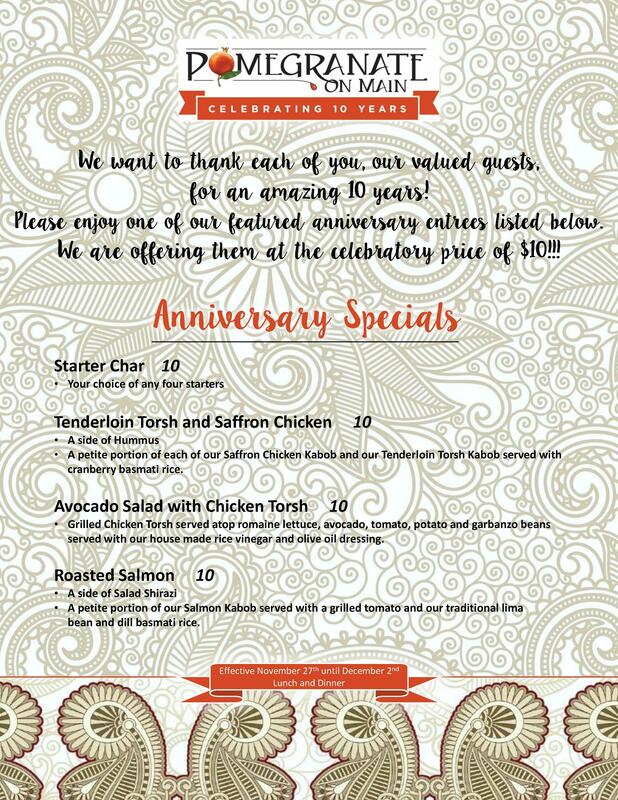 To celebrate the anniversary of the opening, they are featuring several anniversary entrees at a celebratory price of $10 each. They want to thank each of you, our valued guests, for an amazing 10 years! The anniversary specials will be available from Nov. 27 to Dec. 2.